The Speech, Language and Hearing Student Association (SLHSA) created origami butterflies to raise awareness of lupus in partnership with the Mariposas Bellas Campaign. Photo courtesy of the SLHSA. The Speech, Language and Hearing Student Association (SLHSA) is a student group dedicated to improving communication and knowledge relating to the speech, language and hearing sciences program. 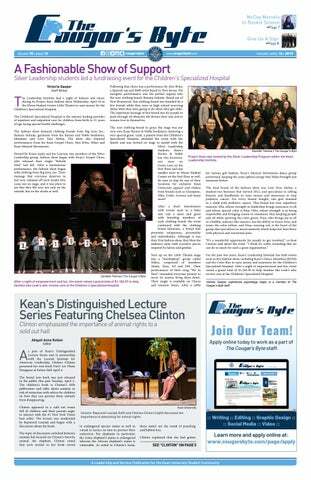 With its earliest record dating back to 1984, the SLHSA remains one of Kean’s longest running organizations. Michelle Czysz, a senior majoring in speech, language and hearing sciences, has been involved with the group since her sophomore year and currently holds a position on the executive board as the director of public relations. She said that her motivation behind joining the club was her desire to connect more to campus in a way that would benefit her future career. Czysz describes her group’s mission as a combination of facilitating conversation with the rest of Kean and increasing the common knowledge of the issues the SLHSA covers. Apart from Czysz, SLHSA executive board includes the following members: President Victoria Volpe, Vice President Celine Dasilva, Treasurer Gianna Crotty and Secretary Noemi Villacis. While this group focuses mainly on activities that relate to the speech, language and hearing sciences program, Czysz stressed that students from any major are welcome to join. “I would say a majority of our club consists of students within the speech pathology program, but we welcome all areas of study. What we try to preach in our club is that, as future speech pathologists or audiologists, it is important to be able to work collaboratively with other professionals. So by allowing all majors into the club, [it] helps prepare us for what our future careers hold, since we can always learn something new from a related or even unrelated field,” Czysz said. SLHSA meetings are typically held on a Thursday every month at East Campus, where the speech, language and hearing sciences major is centralized. 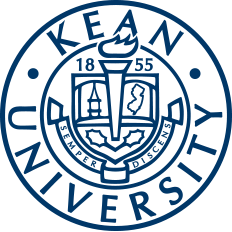 At these meetings, the group tends to focus on discussing its upcoming events, acknowledging important upcoming dates within Kean in general, welcoming feedback and ideas from members and even hosting games and activities related to their common program. The SLHSA has multiple events scheduled before the end of the semester. According to Czysz, the group holds a bake sale every month with the profits going toward either the club directly or a cause of their choice, such as the Autism Speaks Walk this past October. They have also partnered with the Mariposas Bellas Campaign in the past to spread awareness of lupus, an inflammatory autoimmune disease in which the immune system attacks its own tissues. Additionally, the group has a tradition of holding a food drive every fall for the Community FoodBank of New Jersey. The club’s largest upcoming event is Pie a Speechie, scheduled for April 25 at 3:30 p.m. at the Clock Tower. “At this event, we as a club take pies in the face to raise money for the Adler Aphasia Center, which is a great organization that helps people with aphasia and their families raise awareness about aphasia. In its most basic form, aphasia is a loss of language due to a stroke, traumatic brain injury or anything affecting the language center of our brains,” Czysz said. Czysz believes that membership in the SLHSA can allow students to benefit both from the community they find and the platform they receive to network and improve their field. “By being a part of this group, I believe our members benefit from a sense of unity, a chance to obtain service hours, opportunities to create connections with our wonderful department and be a part of a great club overall that provides so much insight into the field of speech pathology,” Czysz said. To learn more about the SLHSA, please visit the group’s page on Cougar Link. The group can also be contacted by email at kuspeechclub@gmail.com. Zoe Strozewski is a sophomore majoring in communications with a focus on journalism. She joined The Cougar's Byte as a staff writer in February 2018. In her free time she enjoys reading, writing, listening to music and playing for Kean's women's volleyball team. In the future, she hopes to spend her days reporting on politics, music, and social issues as a writer for The New Yorker or Rolling Stone.